The reference design in terms of aesthetics and integration. 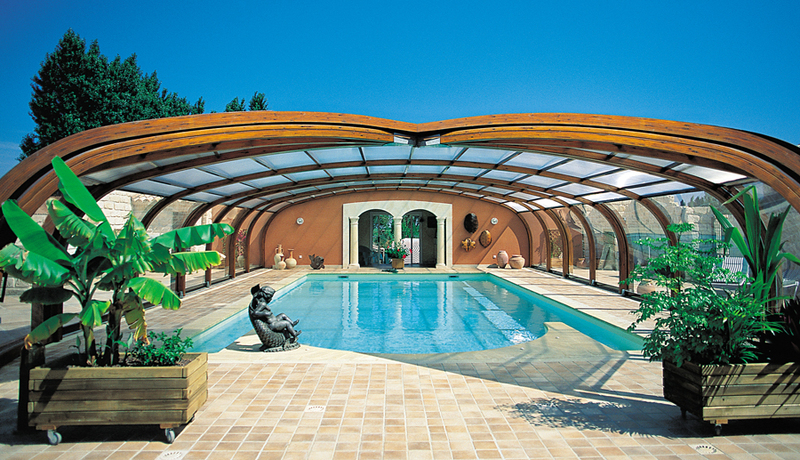 Its gently rounded forms add a touch of panache and a natural look. 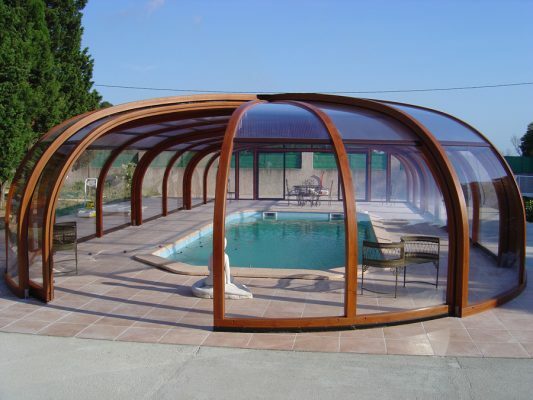 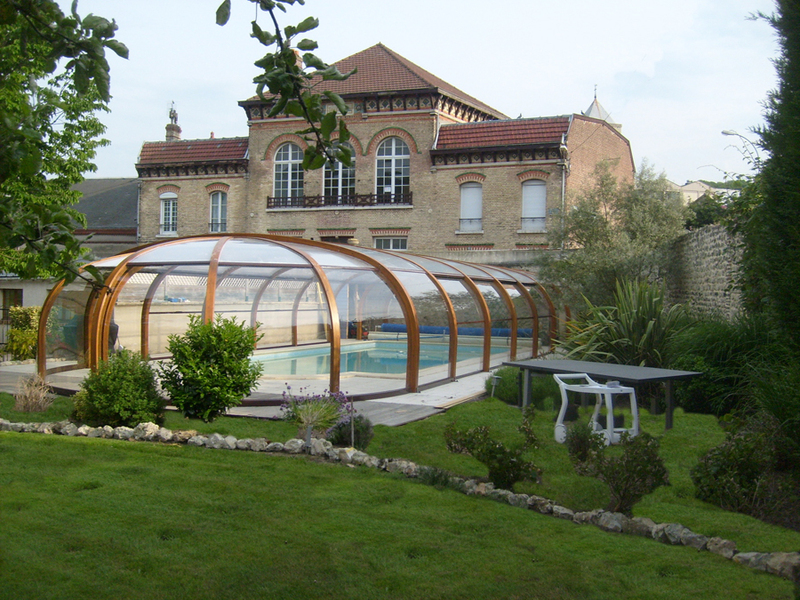 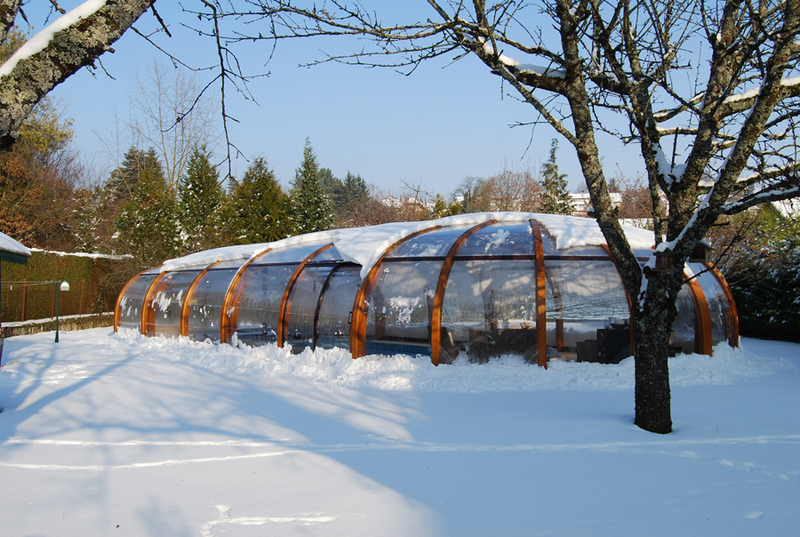 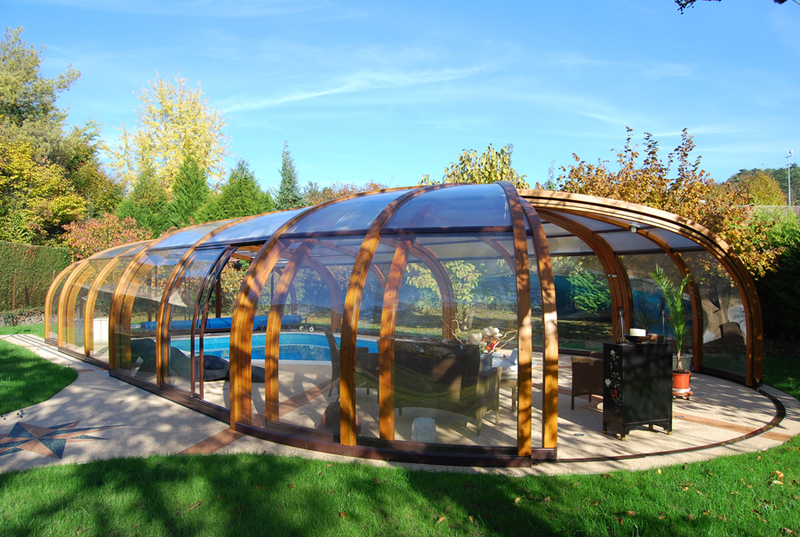 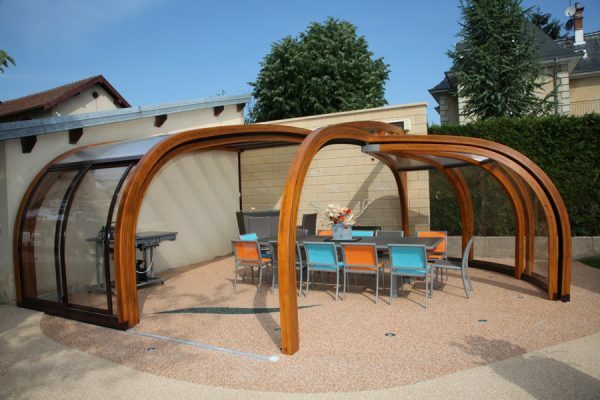 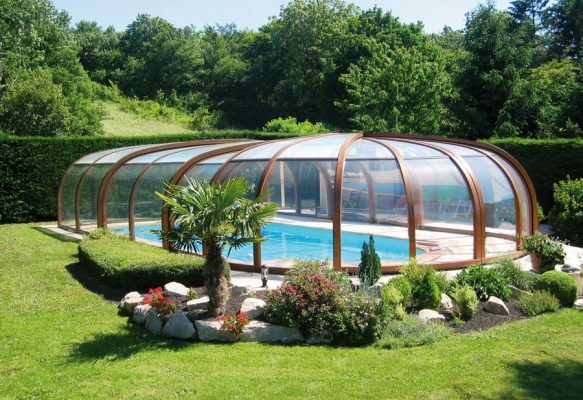 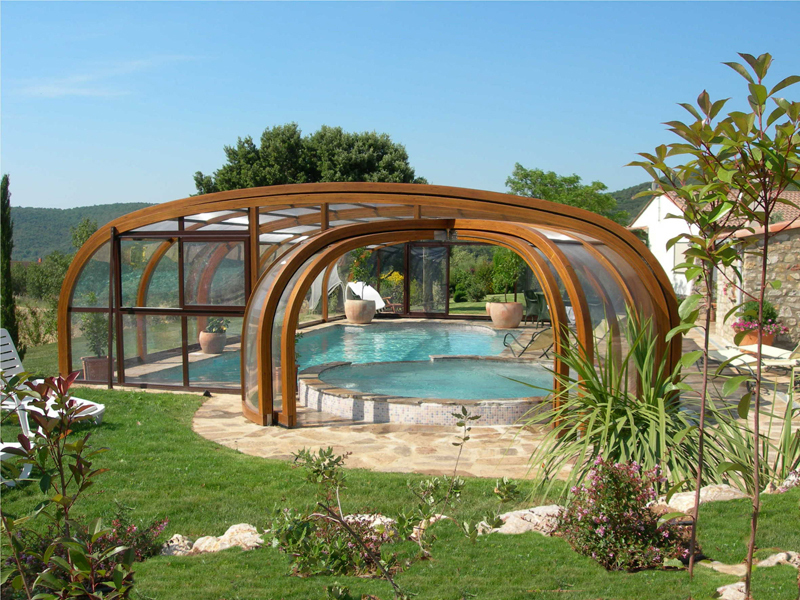 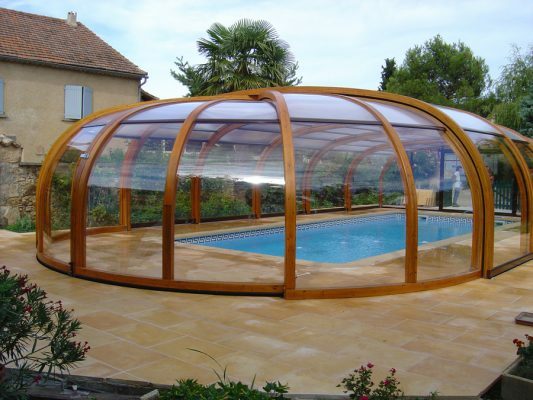 By choosing a rotunda design, you are certain of having a pool enclosure which will blend in beautifully with its surroundings and that stands apart from conventional models. 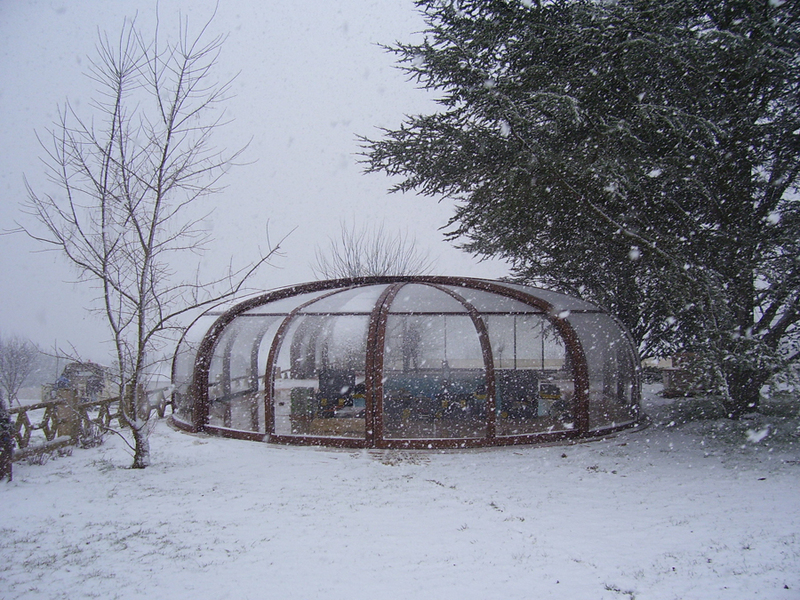 The Rotonda enclosure can open wide at either end segments, with no need for tracks (using our exclusive central pivotal system). The Rotonda model is a decorative feature in itself and can be a solution in situations where a rectangular structure would not suit. Its very shape creates an architectural association with the pool, steps and surroundings.